It's time email got smarter! Get actionable insights about emails that matter! Stay on top of your meetings! Locate any email in seconds! Focus on emails that matter! And do it without opening a single email! Search for calendar entries without breaking a sweat! Manage your contacts with minimal fuss! Experience FewClix through this interactive video! Here's your chance to experience FewClix even before you install it! Go ahead and give our interactive video a try! Save up to 30 minutes every day! Note: You can uninstall FewClix safely and quickly at any time. "I spend a lot of time searching for an item inside Outlook and searching for specific attachments. FewClix for (Outlook) is the most user friendly application ever and saves me time and effort. It is simple, absolutely user-friendly and fast"
"I cannot live without FewClix anymore!" "Putting a search in for a sender or subject lets me quickly find the email and or document I am looking for. Attachments are listed separately to make finding a particular document very easy! FewClix helps me find what I am looking for without creating an excessive number of folders or a complicated filing system. FewClix is effective, simple and time saving!" "I am a medical doctor and I have over 40,000 emails in my Outlook Inbox alone. Before FewClix I was using other search tools and I could not find what I want to find. FewClix is indispensable for me now. It gives me back hours every day. There is no doubt that it is the best Outlook search tool in the world, a life saver!" "FewClix saves time and reduces stress by helping me find attachments quickly!" "FewClix improves my productivity and makes my life easy!" "FewClix saves me time and effort with my email." "My email is my main filing system. FewClix helps me find answers in it, quickly." "I route all my email addresses to my Outlook client. FewClix helps me process these emails quickly..."
"FewClix makes searching (my mailbox) faster and simpler!" 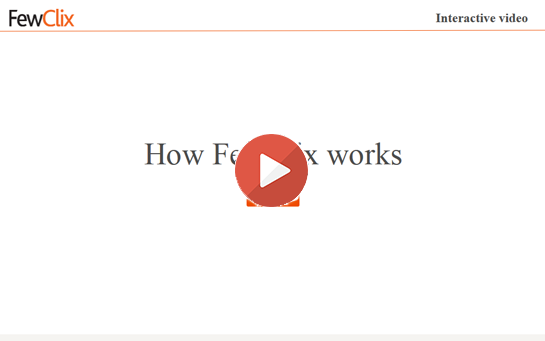 "FewClix is simple, effective and (provides a) very fast response!" "Search and email prioritization with FewClix help me save at least 30 minutes a day!" * Final purchase price may change based on the currency in your country. We are so confident you will save time, that we are willing to bet on it! If you use FewClix at least 4 times a day and you don't save at least ONE hour in the first 30 days, we will offer a 100% refund, no questions asked. For pricing for your organization, please click here. 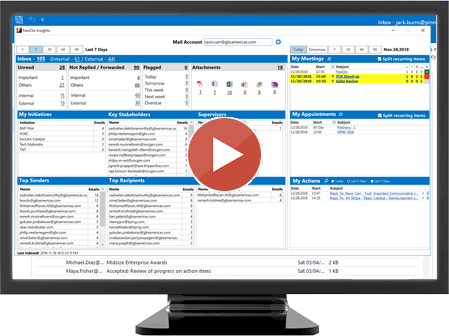 "FewClix can be embedded in Outlook to enable easy and detailed searching of your email folders and archives"
"FewClix Pro comes with the ability to create thousands of super-specific virtual folders that don't clutter the user interface." "FewClix lets users search with multiple criteria... That helps users zero in on mail, speeding the process." Copyright © 1999 - 2019, GBS Americas LLC. All company names, product names and logos included here may be registered trademarks or service marks of their respective owners.